I am SO incredibly out of the loop with video games. I just never had the attention span for them; I never even finished the first Mario Bros.; y'know the one that came free with the first Nintendo and it had Duck Hunt on it, too? I was quite content with just playing the first few boards over and over. Then I found the warp zones which was exciting and economical, however I didn't have the necessary skill to fight my way through these higher levels I'd snuck into, so I'd quickly die and return to worlds 1 and 2 where I was happy in my arrested video game development. Ignorance is bliss, can't argue there. I just never had the patience, I'd get bored and move on to a different game and then I'd draw and then I'd go ride my bike and then I'd watch TV. I had serious problems with concentration, but it was just early signs of pure genius. 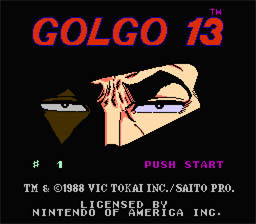 Oh, I also liked Blades of Steel, Golgo 13 and the Double Dragon II. 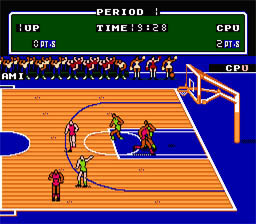 Oh, Double Dribble was dope, too but other than that, no care. Those games were awesome because they were so simple, you put the cart in and you were ready to play; maybe sometimes you'd have to blow on them or smash them against the console to get them to work, but it was immediate gratification. Turn on, play. The few X-Box games I've seen required you to enter in all this info and pick uniforms and schedules and seasons and promotional giveaways for fans 12 and under and you had to give blood and your mothers maiden name before you even saw a goddamn park or field or rink or court ! F that noise. I ain't got time for a mutha. But naturally, none of this has anything to do with why I'm here, posting. I guess there is a game called World of Warcraft that people take pretty seriously; its one of those retarded elf wizards, warriors and dragon role playing games. I've been to my share of creepy net-cafes across the world where they chain smoke, eat stale chips, listen to bad foreign rap and never look up from their monitors, ever. I guess this is the ish they're all playing. These are like real-time games and you need money to do sh&t in the game. So people who are lazy or busy or both will pay REAL money for someone else to earn them the points or "gold" or "coins". There are dudes in China working for these companies who pay them to play for hours and hours on end killing monsters and earning gold coins. Then they sell the points to players across the world. Get it? I hope you do, because I'm still a little foggy. 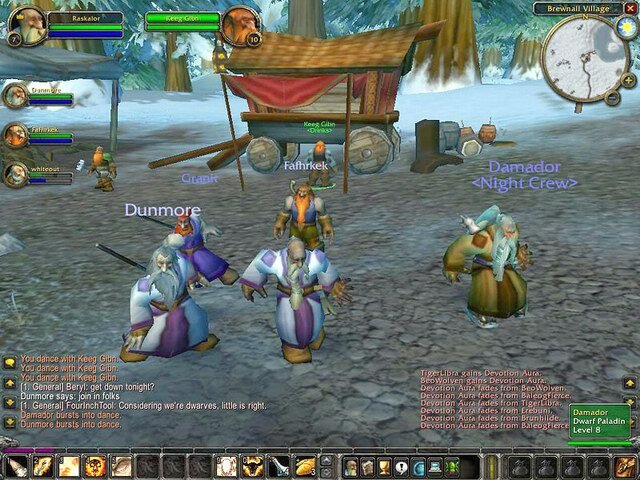 Instead of some investment banker sitting online for 13 hours to amass 50,000 points on World of Warcraft he can pay some company to do it for him; the companies are in China and the employees "work" 84+ hours a week for 30 cents an hour staring at a computer monitor!!! Can you imagine?!?!? Video game slavery!!! Here's how the article starts: "At his workstation in a small, fluorescent-lighted office space in Nanjing, China, Li Qiwen sat shirtless and chain-smoking, gazing purposefully at the online computer game in front of him..." Gross. That sentence truly makes me feel all hot like I was out partying all night and now I'm at work, labouring through it. You know the feeling? It's nasty. Anywho, you can read the whole article here but do it soon because The Times is mad cheap and they take down their free links after a few days. Hi Gotham.You will try to be patient.It takes some time to play better game. Try to remember the saying that "slow and study win the game".